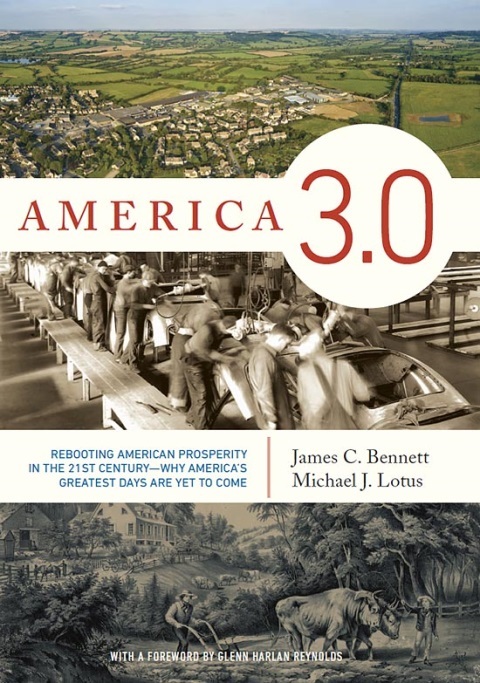 Breitbart’s Reviewer of “America 3.0” didn’t read the book! America 3.0, which I previously reviewed, is something of a hit. The authors have appeared on the radio (Mark Bernier, Bob Dutko, Chuck Morse, Nick Reed, Mike Rosen, Bruce Wolf), public speaking (University of Chicago, Western Conservative Summit), and TV (Lou Dobbs). The book had good pre-publication publicity too, with an impressive list of folks willing to lend their credibility to it (the foreword was by Glen Reynolds, with Jonah Goldberg and John O’Sullivan providing “blurbs”) for the book. And reviews have been good — everything from my post to Michael Barone‘s review in the Washington Examiner to the 16 5-star Amazon reviews. All of which makes Brietbart’s “review” inexplicable. Not just that it was a negative review — someone is free to dislike a book of course — but the Breitbart reviewer did not read the book. I can’t be too shocked at Breitbart — after all CNN’s Fareed Zakaria used a ghost-writer who was also a plagiarist — but it’s deeply disappointing. Boo for Breitbart. Raise your standard. Actually read the books you review. Co-authors James C. Bennet and Michael Lotus have issued a statement on this. Breitbart should take down the fake “reiew” and issue an apology.